Addon designed to make opening and selling junk bags from questing in Secret World Legends easier! BagUtil adds two buttons to the default inventory window. Open and Sell. 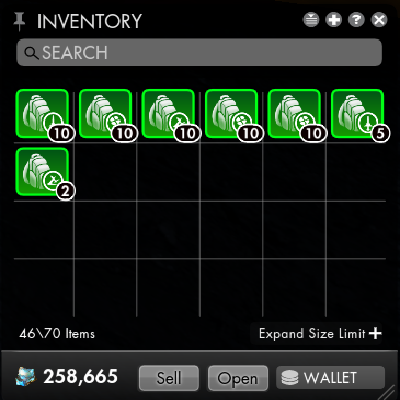 Will open all quest bags (Talisman/Glyph/Weapon/Filth Key) Reward Bag, until it runs out of bags or your inventory is full. Will sell all junk opened from the bags to a vendor with the following criteria. The Sell button will only become visible when you have a vendor window open.